Are You Ready To Install Your HVAC? There are a few main aspects to consider when using a cordless drill for the first time, or even for experienced veterans of Residential Air Conditioning installation. 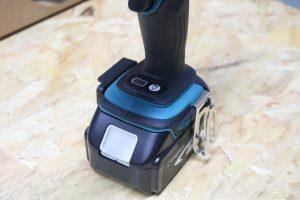 Here are our tips on this combi Makita cordless drill. First thing’s first, make sure you have enough juice in your battery to power your cordless drill! It can be incredibly frustrating if you begin to drill and all of a sudden, your drill stops (or doesn’t start). This can leave you with damaged surfaces, screws, drill bits and will cause a lot of headache further down the road when installing any HVAC. So, rule 1? Make sure you check the charge before you begin, even if it has been on charge overnight. How? Simply press on the battery icon and the charge left will be indicated by a light. It is extremely important to be aware of the type of surface you will be using your cordless drill on as that will dictate what settings the drill should be on and how you’ll use it. Whenever you want to drill, simply choose the drill setting indicated with the drill icon by aligning it with the arrow. When drilling into brick or masonry, select the hammer-drill setting and this will discharge waves of blows behind the drill bit to punch through and help drive the bit into the wall. This will be a common setting when it comes to HVAC Installation so make note. Do not use the drill or hammer drill settings when driving screws, as this can cause serious injury. Always select the screw setting for this. 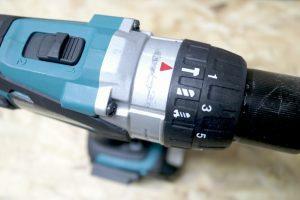 Depending on the drill, you will have either 2 or 3 speeds available. For the low-speed setting, this is best used as a screwdriver as it is low speed – high torque. The fast speed setting is obviously best used when drilling or on fasteners. You will be switching between the two settings frequently during the process of installing a wall mounted air conditioning system. One of the most important settings to have when performing any air conditioning installation is to adjust the clutch and set the torque on the drill. The higher the number on the clutch, the higher the torque (which will drive larger fasteners as the setting gets higher). Adjust the clutch to a lower torque setting before driving any screws, this will allow you to find the perfect setting as you drive any screws and adjust as the resistance becomes less without overdriving the screw. 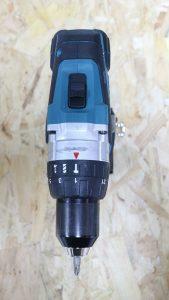 Your best friend when using a cordless drill during HVAC installation is going to be the removable handle. Offering more comfort and control over the drill, it allows the average user to drill into brick with an extra hand gripping the drill. Attaching the handle is easy; simply loosen it by twisting the handle anti-clockwise so that the clip can slide over the front end of the drill. Once in place, twist the handle clockwise in order to tighten the handle over the drill.